The Hudson Waterfront, which is most often referred to by locals as “The Gold Coast,” is defined as the urban area between the Bayonne Bridge and the George Washington Bridge; an area that spans approximately 19 miles. 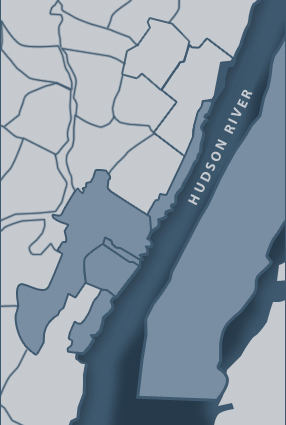 Encompassing the municipalities of Bayonne, Jersey City, Hoboken, Union City, Weehawken, West New York, Guttenberg and North Bergen in Hudson County and Fairview, Cliffside Park, Edgewater and Fort Lee in Bergen County, the Gold Coast offers panoramic views of the Manhattan skyline and the majestic Hudson River. As more and more new residents flock to the area, new construction is popping up to accommodate demand. The new homes Gold Coast offers are typically townhomes, condominiums and apartments, which take advantage of the beautiful waterfront views; however, single-family homes and duplexes can also be found in many of these communities. Excellent schools, fantastic amenities, endless recreational pursuits, ideal proximity to the city and affordable housing prices (when compared to Manhattan and the surrounding areas) are just a few of the draws to the Gold Coast. Whether you’re looking to explore Port Imperial apartments, want to find a spacious brownstone in Edgewater, a traditional single-family home in Fort Lee or want to explore the new homes Gold Coast currently has available to you, you’ve come to the right place. 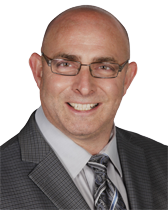 Realtor Scott Selleck has been assisting homebuyers, sellers and renters just like you for more than two decades. He knows the Gold Coast better than anyone and has the sales records to prove it. Let his experience and knowledge make your next real estate transaction as smooth and successful as possible. Scott and his Good Life Team are always just a phone call away and look forward to introducing you to the new homes Gold Coast currently offers. Whether buying, selling or renting, they stand ready to be your guide to the area’s finest real estate and best housing opportunities. Connect today to get started. They look forward to hearing from you and to helping you make New Jersey’s Gold Coast your home. Connect today!